(L-R) are Cindy, Ann and Rick Mixson. 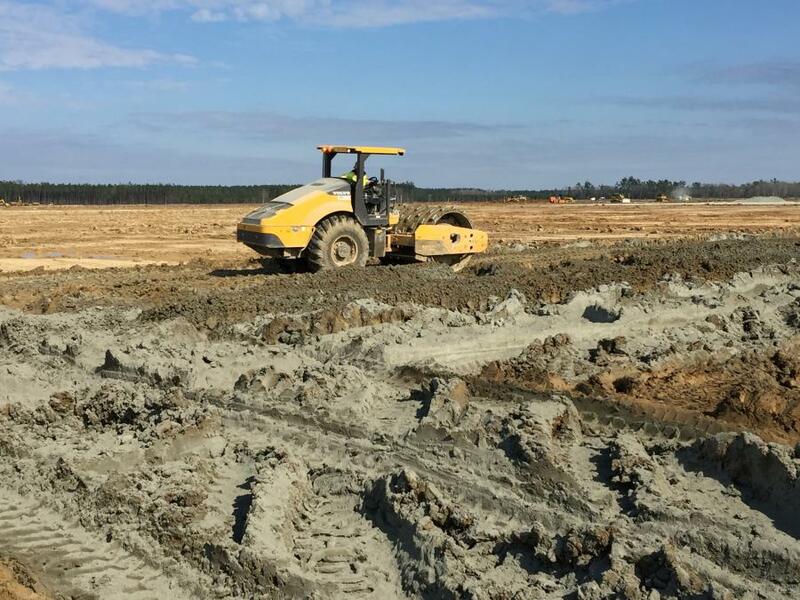 When Rick Mixson, vice-president of Landmark Construction Company first took a look at the Volvo plant project near Charleston, S.C., he figured the company would need to bid about $35 million to do the site preparation for the 726-acre project. That was quite a jump for a company accustomed to taking on projects generally in the $10 to $15 million range. So Mixson had a conversation with their bond company. But that $35 million bid soon turned to $50 million and then $60 million and on the day of the bid, $69 million. It was an exciting, scary time, but as it turned out a company out of Atlanta had the low bid, with Landmark coming in second. And that might have been that, but the story wasn't over yet. Pretty much ever since he can remember, Mixson has been involved with the business started by his father 50 years ago. There was a lot to learn and respect to be earned, neither of which necessarily came easily. And Mixson did. But even all those years of experience couldn't shield him from the effects of the recession. In 2009, he saw his employees dwindle from 180 to 40. It was right about then that Landmark was chosen to do the site work for the new 1.1-million sq. ft. (102,193 sq m) Tire Kingdom in Charleston. Mixson learned about the Volvo project by staying in touch with those in the know. 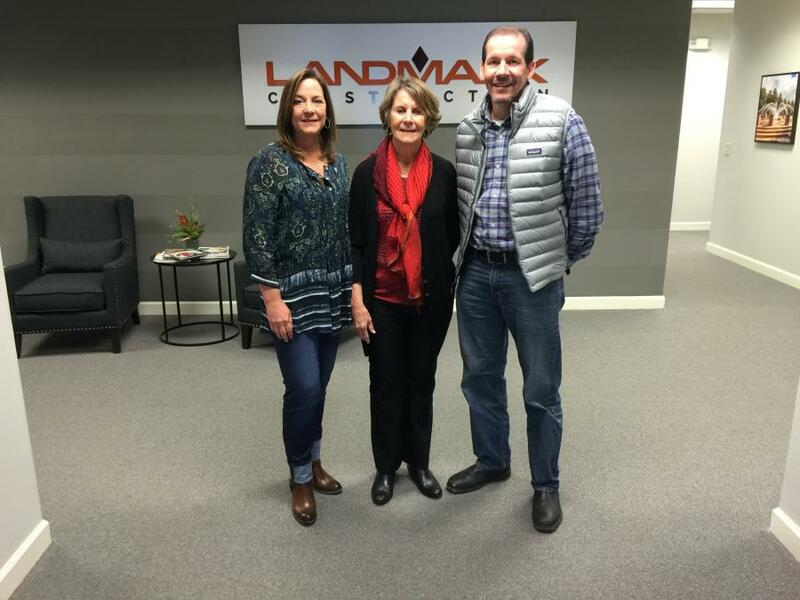 But even with that due diligence, Landmark was close, but not close enough. Or so it appeared early on. Until the county realized the low bidder had qualified its bid — a no-no with a public bid. It also had the potential to be a nightmare. Last year was the wettest year on record with rainfall in Charleston measuring a record-breaking 70 inches. Still, crews finished phase one on time. How? 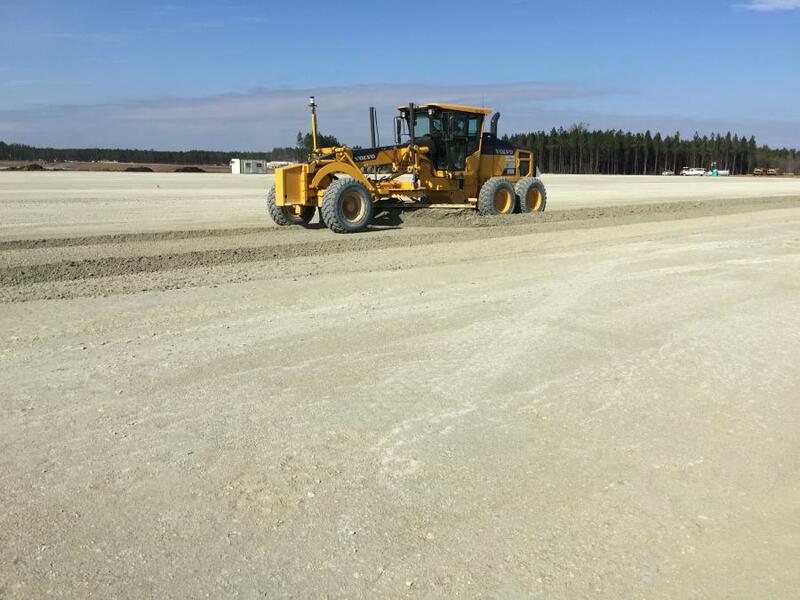 Crews are now working on the other four phases of the project, with work about 90 percent complete on phase two, 70 percent on phase three, 10 percent on phase four and phase five soon to get under way. 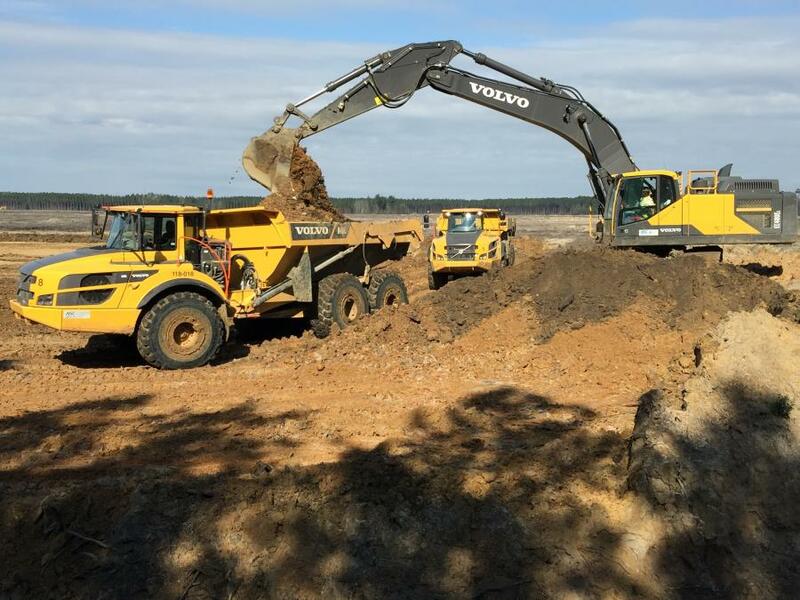 “We're using a lot of Volvo machines on the job,” Mixson said. “Our off road trucks are all A 40s. We have mostly Volvo excavators, from a 480 to 340s, 350s. We just recently added 380s to the fleet. We're using some Caterpillar equipment, including a grader we have out there right now. We've had two soil stabilizers working pretty much full-time, a Cat and Wirtgen. 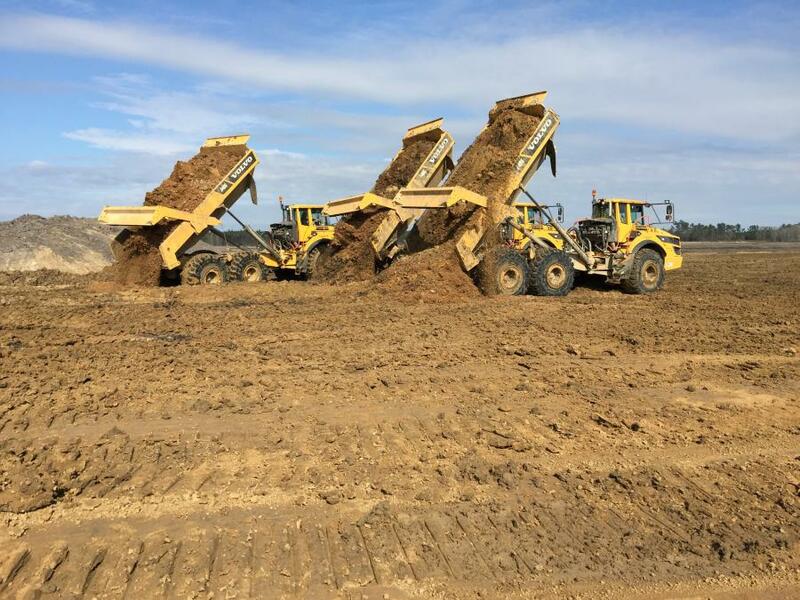 We're using a combination of Komatsu bulldozers and Cat bulldozers on the site, some Volvo rollers, Cat rollers, and we're running lots of big tractors, so we can pull disc and box blades behind them to keep haul roads for the trucks leveled up and keep ruts out.